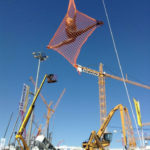 Do you want AERIAL ACROBATS for corporate events in ASIA? Are you after an amazing acrobatic performance for your event in Malaysia, Singapore or China? We at Street United represent some of the world’s best AERIAL acrobatic entertainers who have performed at some of the most prestigious events in the world including product launches, corporate events and private events for different audiences and in different locations in the ASIAN region. Whether it be an AERIAL acrobat that you require to be a part of a event production or simply and individual AERIAL acrobatic performer, we have a represent some of the most experienced AERIAL ACROBATS in the world. This particular AERIAL acrobat has a vast experience in performing for some of the world’s top circuses and has entertained audiences with royalty watching as well as for prestigious award ceremonies and celebrations. Her ability to perform in front of large audiences and large stages anywhere in the world is demonstrated by the movements that are performed with high confidence and expression meters up in the air. Her different types of aerial acts and performances that had been performed in the ASIAN region include AERIAL net shows, AERIAL silk performances, AERIAL straps shows and AERIAL chandelier productions. Selecting the perfect venue for AERIAL ACROBATS for corporate events in the ASIA is entirely up to you as an event coordinator or an event production company. This highly experienced AERIAL acrobatic performer can adapt her performances to any type of venue or any type of setting whether it be an outdoor event or an event that is high up on one of the tallest buildings in the world. The ability to set up a ring that is safe and secure to perform her AERIAL acrobatics can be adapted to any type of event and environment. This entry was posted in Entertainment, Streets Utd News and tagged aerial acrobatic performance, aerial acrobatic performer, aerial acrobats, aerial performances, corporate event entertainment, corporate event entertainment in China, corporate event entertainment in Hong Kong, corporate event entertainment in Malaysia, corporate event entertainment in Thailand, corporate events in Asia, expert acrobats for corporate events, professional acrobats.